I've completed posting May sales data to DCHomePrices.com. 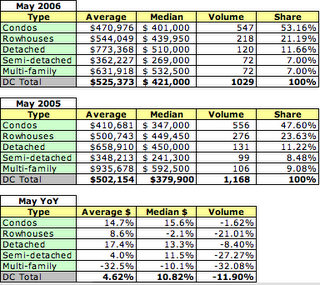 In the aggregate, average and median prices were up compared to May 2005. 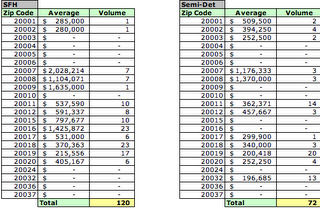 However, transaction volumes were dpwn for all categories of housing. Condos maintain their majority share of units sold in the District, 53% in May 2006. 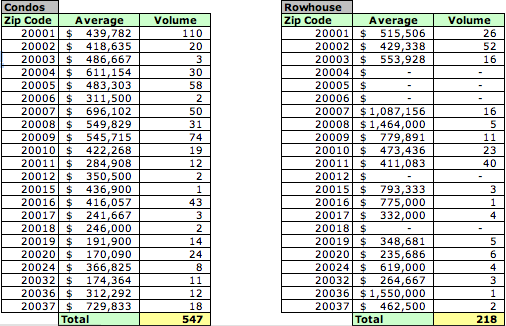 If one excluded several new condo projects that had completed in May [e.g., 1117 10th St NW and 912 F St NW], condo unit sales would have been much worse. 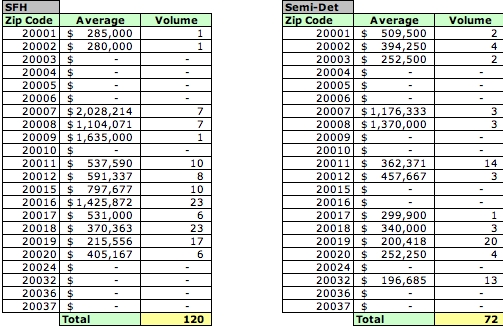 Of the 547 condos sold in May, approximately 183 were new construction.